In an effort to bring further awareness to great causes and foundations, Krinos Group has established the Krinos Kares Foundation. 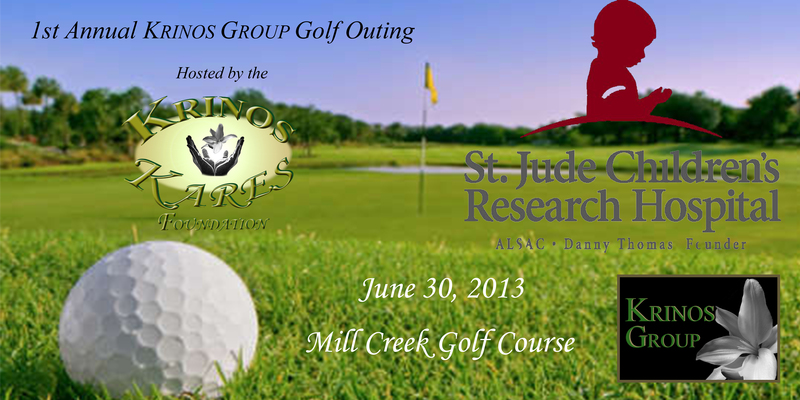 The first event hosted by Krinos Kares will be a golf outing to benefit St. Jude Children’s Research Hospital. The outing will be held June 30 at Mill Creek Golf Course in Boardman, OH at 10 a.m. The outing will be organized as a four-player team scramble with golf prizes for closest to the pin, longest drive, and overall winners. Of course, all proceeds will be donated to St. Jude so we are accepting a variety of donations. Team registration, and participation, is free, but there are still several ways contribute to this great cause. We are searching for hole sponsors, a $150 donation; tent sponsors, a $50 donation; golf prize and Chinese auction prize donations; and general donations. We hope to see you out on the course for a great day in the name of a great cause! It may be easy to find financial matters a bit daunting when you may not have the clearest understanding of financial terms and what they encompass. “An annuity is a contract with an insurance company that is funded by the purchaser and designed to generate an income stream in retirement. It is a flexible financial vehicle that can help protect against the risk of living a long time because it provides an option for a lifetime income,” according to an article on the Krinos Group website. Sometimes one may be encouraged to outsource all of their financial matters to third-party firms, advisors, etc. While it may be important to seek financial advice from such outlets, having a basic understanding of key financial terms and what you can gain from each one respectively is significant. Take a look at this article on annuities on our website and brush up on your financial terminology and understanding. 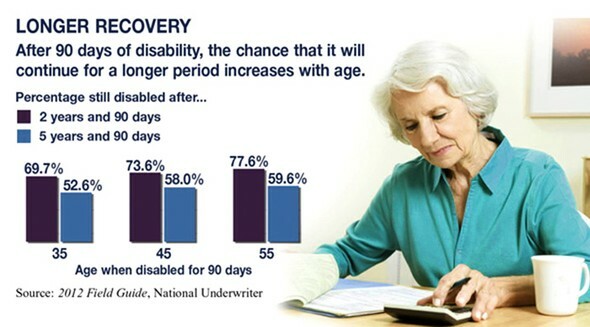 If you, or your spouse, were to experience a long-term disability (lasting 90 days or more), would you be able to shoulder the financial burden? This is a fairly significant question to ask yourself, and ultimately prepare a response to. Sometimes we would rather not think of the possibility of getting injured, but, believe it or not, a 50-year-old has about a 36% chance of experiencing a long-term disability before age 65, according to the National Underwriter 2012 Field Guide. Of course, there is disability insurance and things of the like that assist in these particular types of matters, but the percentage of income that it can replace is ultimately up to the policy. Head over to the Krinos Group website and check out our “Having a Backup Plan” newsletter to learn what you can do to prepare for an unforeseen event like this. Did you know that the Krinos Group network extends beyond our blog and website? That’s right — we have entire network of social media outlets.